Israeli government funds have been secretly transferred to far-right organisations leading a smear campaign against groups opposed to the occupation, a series of investigations show. The rightwing groups have received tens of millions of dollars in state funding, either directly from the government or via Israeli local authorities representing the settlements in the West Bank. In three known cases, publicly funded far-right organisations launched spying operations on human rights groups. Other state money has gone towards ad campaigns claiming to expose peace activists as “moles”, planted by foreign governments to damage Israel. Human rights activists, the campaigns claim, are betraying their country by providing information that fuels criticism overseas of Israel and helps to bolster an international boycott movement. That message closely echoes the justifications offered by government ministers for new legislation to weaken Israeli organisations that monitor abuses of Palestinians in the occupied territories. The United States and Europe have condemned the Israeli government’s draft bill, with the European Union describing an early version as “reminiscent of totalitarian regimes”. “This is a campaign of intimidation and incitement, and it is being orchestrated at the highest levels of the Israeli political establishment,” said Yehuda Shaul, a former Israeli military commander and co-founder of Breaking the Silence, which collects testimonies from serving Israeli soldiers that highlight abuses of Palestinians. Netanyahu and his ministers want to shut down all voices in Israel that oppose the occupation. They are doing what fascists always do – looking to blame an enemy within. Sarit Michaeli, a spokeswoman for B’Tselem, a prominent Israeli group monitoring human rights violations in the occupied territories, agreed. Breaking the Silence and B’Tselem have been the target of intense criticism from both Netanyahu’s government and far-right groups. One, Im Tirtzu, published a report last month accusing several anti-occupation groups of being “shtulim” – the Hebrew word for “moles” – on behalf of European governments. An associated video shows a Palestinian stabbing with a knife and suggests that human rights groups like Breaking the Silence and B’Tselem will help him to evade justice. “The government particularly fears Breaking the Silence because its testimonies show the army isn’t investigating evidence of brutality and wrongdoing by soldiers,” said Yossi Gurvitz, an Israeli analyst who has followed Im Tirtzu’s activities. If soldiers are going unpunished, then that removes Israel’s basic defence against investigations from outside bodies like the International Criminal Court. It makes it more likely that soldiers will one day face war crimes trials. The release of Im Tirtzu’s video coincided with new government measures against Breaking the Silence, B’Tselem and other anti-occupation groups. Last month the defence minister, Moshe Yaalon, described Breaking the Silence as “malicious” and barred it from access to army activities. Shortly afterwards Naftali Bennett, the education minister and leader of the settler party Jewish Home, banned the group from schools. “Lies and propaganda against the IDF [Israel Defence Forces] – not in our schools,” he said. The justice minister, Ayelet Shaked, also from the Jewish Home party, has proposed a new bill, nicknamed the Transparency Law, that casts suspicion on Israel’s human rights community. She has justified it on the grounds it would stop activists from “being used as a tool by foreign countries to implement their own policies”. Indicating that her goal is to muzzle such groups, she said the legislation would help to “limit the information that gets to foreign countries”. Under pressure from the US and EU, Netanyahu insisted Shaked drop a provision that would have forced human rights groups to wear lobbyist badges on visits to the Israeli parliament. However, the groups will still have to detail their funding sources in all reports and documents, and meetings with state officials, or face a fine. Collusion behind the scenes between far-right groups and the government has come to light in a series of investigations published in recent weeks. Walla, an Israeli news website, published an investigation this month into Ad Kan, which recently issued video and audio recordings from spying operations on Breaking the Silence and Taayush, a loosely structured collective of anti-occupation activists. Ad Kan is reported to have spent many months working undercover inside human rights organisations. The group is funded by the Samaria Settlers’ Committee, which in turn is financed by the Samaria Regional Council, a large local authority for settlers living in the northern West Bank. The council, much of whose budget comes from public coffers, includes some of the most extreme settlements in the occupied territories. The same settlers’ committee made headlines last year when it produced an animated video that equated human rights activists in Israel with a “kapo”, a Jew who collaborated with guards in Nazi concentration camps. This week it launched a new campaign urging Israeli Jews to boycott restaurants in Israel that abided last year by a one-day general strike called by the leadership of the country’s Palestinian minority. A separate investigation this month by the liberal Haaretz daily revealed that Regavim, a state-funded group that tries to help settlers take over Palestinian land, had paid for a three-year spying operation, starting in 2010, against a prominent human rights lawyer. Michael Sfard has been a legal adviser to several anti-occupation groups, including Breaking the Silence, Peace Now, which monitors settlement activity, and Yesh Din, which highlights violations of Palestinians’ rights. According to Haaretz, a private detective hired by Regavim got hold of confidential documents from Sfard’s office, which eventually reached Im Tirtzu. They were later published in the Israeli media. A newspaper article based on one document, from Yesh Din, claimed that the organisation was helping outside bodies to investigate Israeli soldiers for war crimes. Gurvitz, who is also a researcher with Yesh Din, noted that many of the staff of the far-right groups were closely involved with government parties. Regavim’s chief legal officer at the time of the spying operation was Bezalel Smotrich, now an MP for the governing Jewish Home party, which is pushing the legislation to weaken anti-occupation groups. A separate investigation by Peace Now disclosed last month that nine far-right Israeli groups received income of nearly $150 million between 2006 and 2013. More than 93 per cent of the money was from undisclosed sources. The donors, almost all from the US, are believed to include wealthy Jews, as well as Jewish foundations and fundamentalist Christian organisations that support the settlements. However, Peace Now’s research also shows that the Israeli state funnelled some $25m into far-right organisations in that period, mostly through government ministries and local authorities. The sums were concealed under a category called “participations”. 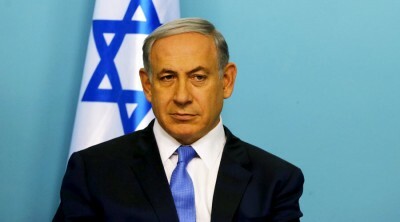 Molad, an Israeli progressive think-tank, found in 2014 that the Netanyahu government had stepped up other forms of aid to far-right groups following the 2009 election. The government transferred some $40m in special grants to the settlements but then required their local authorities to redirect most of the money to a private settler organisation, the Yesha Council, in apparent violation of Israeli law. At the time of the decision, Naftali Bennett, now the leader of the Jewish Home party and the education minister, headed the Yesha Council. The rightwing ad campaigns, the spying operations and government and police responses have fuelled a climate of hostility towards peace activists. Ad Kan’s footage of Taayush activist Ezra Nawi led to his arrest by police, as well as that of two other activists, an Israeli and a Palestinian. A draconian gag order meant no details of their cases could be reported for several days. Nawi is recorded discussing how to foil an attempt by Jewish settlers to deceive a Palestinian landowner into selling his land. In the film, he says he will report a Palestinian middleman working for the settlers to the Palestinian security forces. He adds that the man will be tortured and killed as a result. The land seller appears to have been an impostor, part of a plot to entrap Nawi. No evidence has emerged so far that Nawi contacted the Palestinian authorities or that anyone was hurt. According to his lawyers, he suspected a trap, but mistakenly thought he was being tested on whether he would help settlers to buy land. His statements were designed to prove his solidarity with Palestinians, they say. This week Israeli courts ignored police requests for the activists’ continuing detention in jail and released the three men to house arrest. Ad Kan’s other recording is of a private meeting organised by Breaking the Silence, to which a former senior Israeli diplomat, Alon Liel, was invited. Liel tells the activists that Israel’s political establishment is a “lost cause” and recommends that they shift their struggle to international forums, such as the United Nations. Ad Kan and other rightwing organisations have hailed the clip as confirmation that human rights groups are traitors, working with foreign powers to damage Israel. Government officials have also drawn a comparison between human rights organisations and violent settler groups responsible for attacking Palestinians. Bennett, the education minister, equated “radical leftists” like Breaking the Silence and B’Tselem to settlers accused of setting fire to a home in the Palestinian village of Duma last summer that killed three members of a family, including an 18-month-old baby. He said both sides were “exactly the same” and “want to bring down the building around us”. Gurvitz said the many Israelis supported the government’s position, but that Im Tirtzu may have gone too far with an ad campaign this week. It accused many of Israel’s leading cultural figures, including novelists Amos Oz and David Grossman, of also being “moles”. Faced with a public backlash and accusations of McCarthyism, Ronen Shoval, Im Tirtzu’s founder, posted comments online defending Joseph McCarthy, the notorious US Senator who led witch-hunts against those he suspected of being Communists. Im Tirtzu and Regavim were unavailable for comment.